Welcome to Grayhawk! If you are interested in receiving information on Grayhawk golf homes for sale, call Team Fore for immediate assistance @1-888-935-8829 … (1-888-WE-LUV-AZ). Or, if you only want to search for listings of currently available golf course homes in the Grayhawk Golf Club in Scottsdale, Arizona, feel free to use one of our ‘No-Registration-Required’ searches below. Search For ALL Grayhawk Golf Homes For Sale. Not Searching For Grayhawk Golf Homes For Sale? Return to Scottsdale Golf Communities to search for golf homes in other Scottsdale communities. Situated between its award winning daily fee golf courses, Talon and Raptor, the Grayhawk community includes several of the Valley’s finest home builders. Each specializes in single family homes, townhomes, condominiums, luxury rentals and custom home sites. The nearby Grayhawk clubhouse provides an ideal location for community get-togethers. The Grayhawk Raptor course offers a thrilling challenge that demands a player’s attention, causing a daring high stakes game of risk/reward. The Grayhawk Talon course is one of the most exciting and dramatic golf courses ever built in Arizona. Grayhawk, in North Scottsdale, features two distinct yet interconnected neighborhoods called The Park and The Retreat. They both offer a variety of prices, amenities and lifestyles. There are many community features that give residents a wide range of activities. The Park at Grayhawk caters to family oriented buyers. It includes playgrounds, basketball courts, picnic areas and grassy play areas. There’s also the Grayhawk Walk trail system, beautifully landscaped for jogging, biking, or just taking a stroll. The Retreat contains two world class, 18 hole golf courses. Adjacent is the Grayhawk clubhouse with superb casual dining, 30 miles of trails for hiking, biking and jogging. Enjoy peaceful open areas with barbecue pavilions, community tennis courts and swimming pools. All of this is reserved for the private use of Retreat residents and their guests. Guard gated neighborhoods offer residential choices ranging from luxurious single family homes and spacious townhouses to spectacular custom home sites. Grayhawk’s resident program director maintains a complete schedule of sporting events, social functions and cultural activities helping to add fun and friendship to your life at Grayhawk. The community offers both the intimacies of a friendly neighborhood and the amenities of a grand master plan. With houses surrounded by the rugged beauty and ideal weather of Scottsdale’s Sonoran Desert, Grayhawk provides all the options and opportunities you’ll ever need. The team of golf real estate agents at Team Fore welcomes your Grayhawk golf homes inquiry. 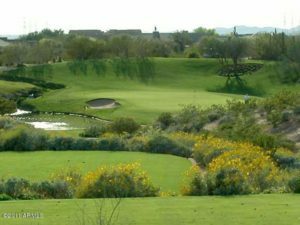 No other Scottsdale golf real estate team is as well equipped to show you all the golf course homes for sale in the Grayhawk Golf Club community in Scottsdale, AZ. that will match your dreams. Content Copyright 2019 – Team Fore – The Grayhawk Golf Homes For Sale Real Estate Agents.